understanding of the prevention and management of complications related to implant therapy. Wouldn't it be a great day if each and every implant case turns out the way you plan and envision? The truth of the matter is that there are so many small, unpredictable, unforeseen issues that can compromise the final outcome, and these may be both surgical and restorative in nature. In September, we are fortunate to have Dr Ryan Cook speak on this pertinent topic. Trained as both a periodontist and a prosthodontist, Dr Cook brings to the participants his wealth of knowledge and experiences in all things that can go wrong!!! 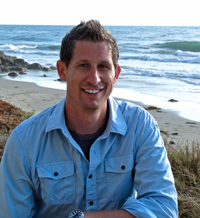 Dr. Ryan Cook is originally from Charlotte, North Carolina. He attended North Carolina State University, where he graduated with a BA in Chemistry, a BS in Biochemistry and ran Cross Country/Track and Field. The University of Southern California School of Dentistry, was the next stop in Dr. Cook’s academic career. It was here faculty noticed his talent and encouraged him to pursue speciality training. His sincere interest in Periodontics and Prosthodontics, led him to pursue post-graduate training in both. The University of Texas Health Science Center-San Antonio, served as Dr. Cook’s home for the next 5 years. While there, he completed residency programs in both Periodontics and Prosthodontics. Dr. Cook is one of only a hand full of clinicians who complete post-graduate training in both Periodontics and Prosthodontics and he is one of only four individuals in the nation board certified in both specialities. In addition to private practice, Dr. Cook lectures on topics such as, Implant Dentistry, Contemporary Esthetics, and Multidisciplinary Treatment of Full Mouth Reconstruction. He also continues to do research and write scientific articles that help further the field of dentistry. He strongly believes in evidence-based dentistry and finds it allows him to give his patients the highest quality of care. Dr. Cook lives in Laguna Niguel with his wife, Jennifer Politowski-Cook DDS, their daughter, Bailey, and their dog, Triple. He enjoys running, watching college athletics and spending time with his family. $165 if registering for this event only.